Whether you are a seasoned pro or just picked up your first camera it doesn’t take long before all of us get overwhelmed by the volume of images we produce. So how do we stay organized? What is the most efficient way to process our images and how can we deliver our images for web, print, email and more? Well up until a couple of years ago it wasn’t easy. I myself was using a variety of different programs to achieve what I can now do with just Adobe Lightroom. 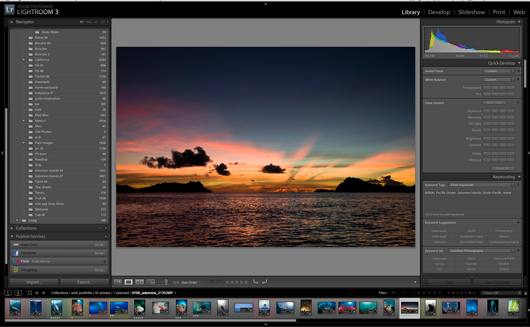 So what is Lightroom? 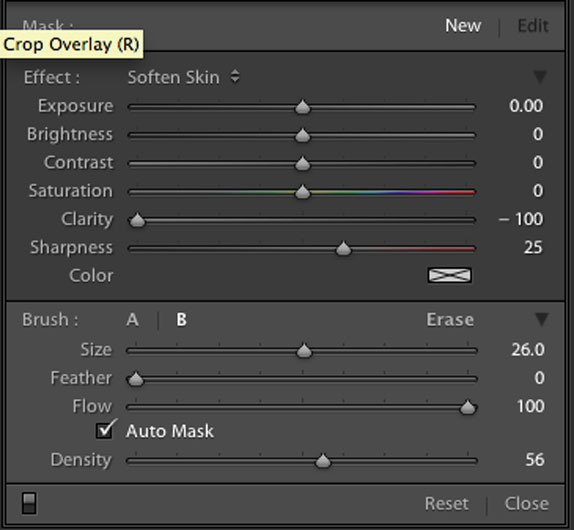 Do you need it in your workflow and should you be using it if you're already using Photoshop? I say you should but let's dive a little deeper into the program and you can decide for yourself. If you go to the Adobe site the first thing you'll see is that Lightroom is part of the Photoshop family. 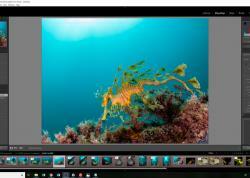 It was designed for photographers and is not intended to replace Photoshop, but rather complement it. I find that I do at least 90% of all my work in Lightroom and only send images to Photoshop when I really need to. 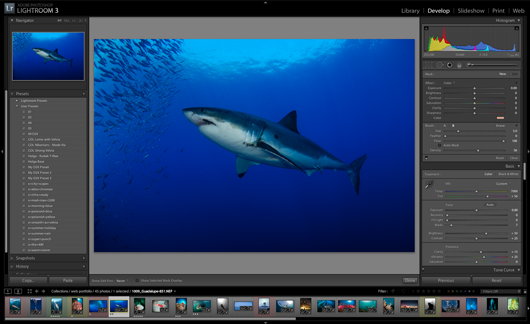 Adobe describes Lightroom as an intuitive digital darkroom and efficient assistant. I agree with this statement but I don't think that it comes close to explaining how powerful a program it really is. The easiest way to get an overview of the program is to break it down into its 3 main functions. First on our list is the Library module. Here is where we import images and organize them. 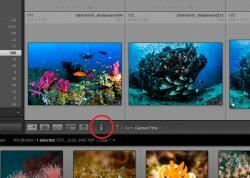 It's important to understand what is actually happening when we import images into Lightroom. When we copy or move images with Lightroom it handles the physical act of copying/moving those files to the location we specify. For most of us that would be an external hard drive, but it also builds previews and creates links from the lightroom catalog back to that media. Why is that important? Because our physical media remains untouched all of the changes we make are non destructive. By writing to a central catalog we can sort and make changes much faster than writing to separate xmp files. You can write xmp files for all your images with Lightroom but it will slow down your system. We have some pretty powerful tools available to us even in the import window. Of course we know we can copy, move or add images, but we can also make a backup at the same time. We can rename, add metadata, keywords and even develop settings during import. At a minimum, all of my images get my copyright info and a few keywords on import, saving me valuable time. Once imported we can rate our images with stars, colors or a simple pass/fail flag system. We can add additional keywords, metadata and create collections. Remember these collections are just links back to the physical media so you can have multiple collections that share the same media with little increased hard drive space. Of course if you need to organize the physical media you can do that inside Lightroom with the folders. I know all of this organization doesn’t sound fun to a lot of photographers but for myself, when I know my images are organized, backed up and that I can find an image with a simple keyword search, it clears my head so I can go be creative and shoot pictures. Second on our list is the Develop module. Here you will find all of the controls you would expect on a top notch raw converter. In addition we have some specialized tools for cropping, spot removal, lens correction, noise reduction and an adjustment brush for masking exposure, contrast, saturation and a variety of other controls. In short you can finish the majority of your images without ever opening them in Photoshop. Why is this important? Speed, I can simply work faster and more efficient. I can copy and sync settings to other images. I can set up presets for adjustments that I use all the time. I can finish most of my images in Lightroom so there is no need for me to save large tiff files as my masters, I can make virtual copies so I can have the same image with different crops and B+W versions without taking up additional hard drive space. When I do need to edit in Photoshop or other external editor I can simply send it from Lightroom, work on it and have it saved right next to the original media. It will automatically be added to my Lightroom catalog and I can stack it with the pre-edited version to stay organized. Third on our list has to do with output and display. 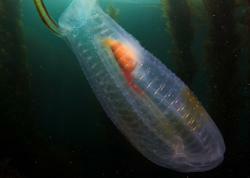 It includes the slideshow, print, and web modules as well as the publish services and the export window. You can create and customize elegant looking slideshows to display on your computer. You can add music, and even export your slideshow as a PDF or mp4 video. The print module comes packed with picture packages and single print options and of course you can customize all of your own settings too. But the most important feature is that you stay in a constant color managed environment from input to output. The web module ships with a variety of Flash and HTML galleries. There are also a number of excellent third party plugins to enhance the capability of the web module. 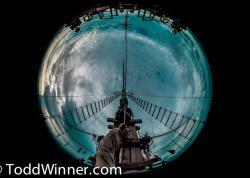 Check out my site that was built in Lightroom with TTG plugins www.toddwinner.com. 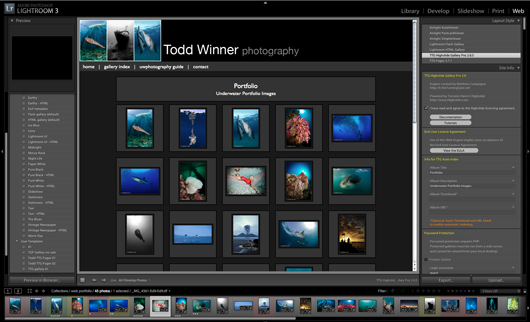 Publishing services were added in Lightroom 3 and they allow us to upload directly to photo sharing sites like Flicker, Smugmug and Facebook. 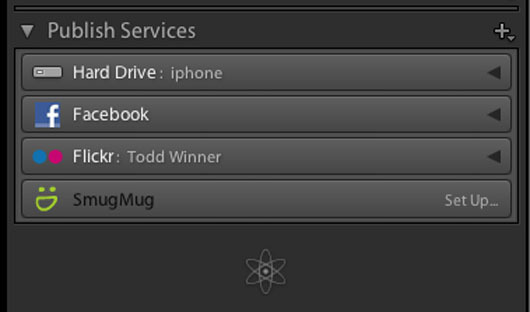 One of my favorite output features is just the export window. If you are like me you send out different sized files to the same people all the time. Instead of trying to remember who wants a TIFF or a JPEG and at what size, you can create presets with those settings and more. Once again saving us valuable time. 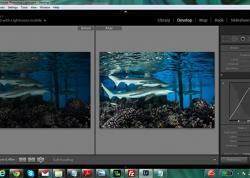 I hope this brief overview gave you a small look at the power of Lightroom. I consider it just as important to my workflow as my camera or lens. If you are not using it, I would encourage you to do so and if you are, to take full advantage of its power. If you're interested in hands on training please contact me at winnerphotography@me.com. 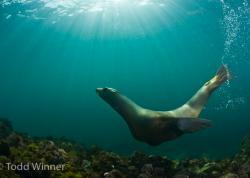 We offer group and private Lightroom courses through the Underwater Photography Guide.